MD5 is a very popular and widely used form of encryption with a 128 bit hash function. This is a great way to encrypt passwords that you would use on search forums and any other data that needs encrypting. By making your data unreadable you gain an extra level of security which is why MD5 is so popular with web designers and developers. MD5 can be encrypted but it cannot be unencrypted which is very useful if you want to check whether your data has been tampered with in any way. In 1991, Ron Rivest created the next in his series of cryptographic hash functions known as MD5, which was a successor to his previous effort with MD4, with a 128-bit hash value. The intention of MD5 was to be able to encrypt and check the integrity of files. The primary use of MD5 encryption has been to provide assurance that a transferred file has successfully been transferred intact in the software world. Most of the usages today involve storing passwords. The great thing about MD5 is by using an online encryption tool, such as the Pingler MD5 encryption tool, you can enter text and then generate an encryption that uses 128 bit hash values. You can use the Pingler MD5 Encryption Tool to encrypt any text you want to keep secret, such as passwords for forums and other websites, financial data, or even messages to and from a secret lover. Any text you would like to have protected you can securely encrypt using the Pingler MD5 Encryption tool so prying eyes are unable to read it. The Pingler MD5 encryption tool will take any string of data that you input into it and output it to 128 bits. These will be consistently random bits and they are based on whatever you put in the input string. If you were to input the same data twice, you will receive the same random 16 bytes from the change, but even the smallest change will give you a completely different and random output hash. You do have to be careful that you don’t run into collisions when working with MD5 and the Pingler MD5 encryption tool, but typically it isn’t an issue because of all the possible combinations. Another reason you should use the Pingler MD5 encryption tool is because there is absolutely no way you should trust your operating system or your hard disk to be able to properly detect any errors you may have. They use much weaker checksums than MD5 and so it is recommended that you use an industrial strength checksum to best protect any data you have. If you rub your data through the Pingler MD5 encryption tool before you load it onto the disk, then check the MD5 when you read it, you will know that it is secured and not suffering from any collisions. The Pingler MD5 encryption tool is great for storing passwords as well. While it is possible for people to store passwords in a database, this means that passwords will be in the clear and not secure at all. 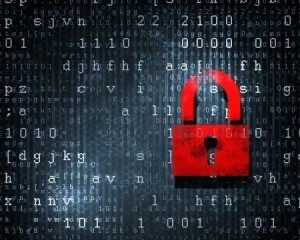 But by using an MD5 encryption tool, the password will be encrypted so when a user logs in, it will be checked in MD5. If your site gets hacked, the hackers will not be able to access the passwords since they will be encrypted with MD5. « Keyword Stuffing – Is it SEO Overkill?